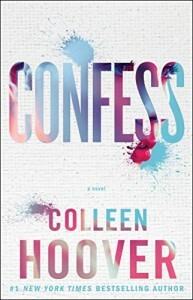 Confess: A Novel - . Perfection. This book is amazing and just proves once again why I adore Colleen Hoover so much. Her unique stories and beautiful writing blow me away every time! 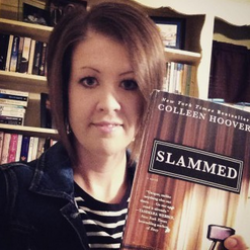 I know I blather on constantly about my love of Colleen Hoover and how everyone should read her books. But, it’s not often that you find an author who’s writing is so unique, their stories so different from anything you will ever read, with every new book that is released. Not only that, but stories that shake you to your core and stay with you long after finishing. That is what Colleen’s books always do to me. And that is why I will never stop sharing my love for her and her writing. I find it really difficult to put into words how fantastic this story is. And I don’t want to give away too many details with my review, because it’s absolutely better to go into this story completely unknowing of what you’re about to read. Auburn is a very strong and incredible character. It’s not often that a book has reduced me to tears within the first few chapters, but my heart broke for her immediately. The pain from her past will affect her future immensely, as she tries to make a life for herself. Then, enter Owen, someone who will bring her back to life and make her feel things again. Owen is such a passionate and sweet guy. His immediate attraction to her may seem quick to a lot of people, but it worked for me. I immediately adored Auburn, so I could understand why he had such an intense connection to her from the minute they met - a need to know her and protect her. As everything unfolds, many heart-stopping secrets and confessions will come to light. I was completely terrified of what would happen. I had fallen in love with both Auburn and Owen, feeling every emotion imaginable, all of their heartache and hope. And as is usually the case while reading a CoHo book, I didn’t want to ever put it down. This book is full of tension, suspense, twists, heartbreak, but also humor and incredibly sweet and swoony moments. All elements I look for in a perfect read. The addition of all of the confessions that were included throughout the story just made it even more unique, another reason this book will stand out among any other book you'll ever read. I can't wait to receive my paperback copy so that I can immediately re-read it and experience the artwork along with the story. Another absolutely fantastic must read by Colleen Hoover!